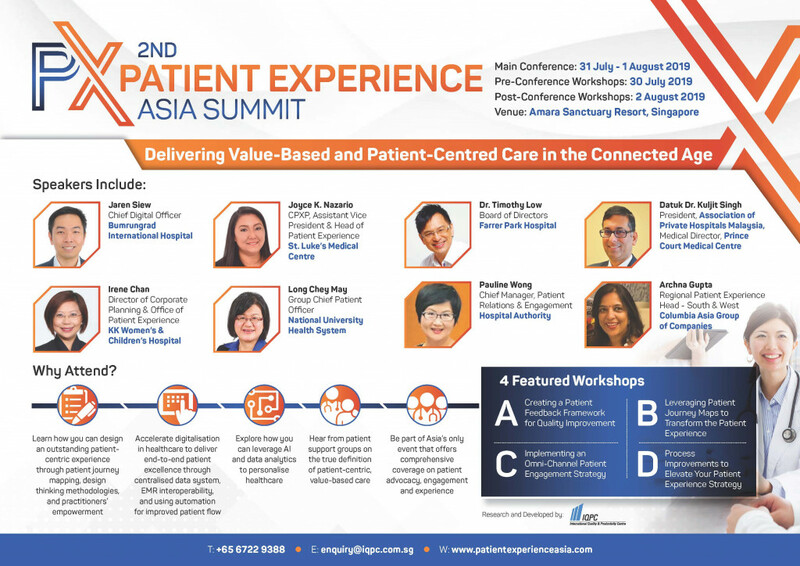 2nd Patient Experience Asia Summit is set to return in Singapore on 31 July – 1 August 2019. This is Asia’s only event that offers a comprehensive coverage on patient experience. 30 Speakers from hospitals, pharma companies, and government, including Farrer Park Hospital, KK Women’s and Children’s Hospital, Ministry of Health, AbbVie, and many more. 8 Exclusive Case Studies from Columbia Asia Hospitals, Bumrungrad International Hospital, National University Hospital, St. Luke’s Medical Center, and Hospital Authority, etc.